I finished reading Letters from a Lost Generation on December 22nd. Only when I put it aside and picked up Testament of Youth did I realize that Vera Brittain’s fiancé Roland Leighton was shot exactly 99 years ago and died on December 23rd 1915. When I chose the book I didn’t know about this; reading it exactly during that time made it even more moving. The first half of the book contains mostly the letters between Vera Brittain and Roland Leighton. There are a couple of letters between her and her brother Edward and between her and their best friends Victor Richardson and Geoffrey Thurlow, but the major part is the correspondence between Vera and Roland. Reading these letters was very difficult. They are not graphic or gruesome at all – at times I wondered whether the four men really served in the trenches – but they are so unbearably tragic and sad. These five people were such close friends, that each time one of them dies, they all suffer terribly. Since Roland is the first to go and seems the one everyone liked the most, his death overshadows all the later letters. He’s mentioned constantly, quoted, remembered, and after a while I started to feel the loss almost as badly. No wonder people still visit his grave in France. After Roland is killed Vera dedicates herself with even more verve to nursing. She first stays in England but then moves to Malta and later to France. What spoke to me is the way they deal with grief. It shows how very important it is when you lose someone you love to know exactly what happened. In each case, and also in the case of friends who are not as close, they try, like detectives, to find out what happened. It’s particularly painful for Vera to know that Roland was wounded on the 22nd and only died one day later, after having been conscious the whole time, but didn’t write her a goodbye note. They find out later that he took an unforseen turn to the worse and might not have known he was going to die. Other aspects of his death become painful only later. Some of the friends are wounded and killed during battles, not so Roland. His death is rather an accident and Vera sometimes wishes that he’d died in one of the big battles so that his death would forever be linked to that name. What I found extremely shocking is that Roland’s clothes – the stinking, muddy, bloody uniform and shoes – were sent to his family. I’d never heard of anything like this before. Vera describes the particular stench and the horror of the sight in great detail and I felt so sorry for them. How cruel and thoughtless. In Pat Barker’s Toby’s Room is a scene in which the sister takes out Toby’s clothes and speaks of the stench of the trenches. I’m pretty sure Pat Barker was inspired by the description of Roland Leighton’s clothes. 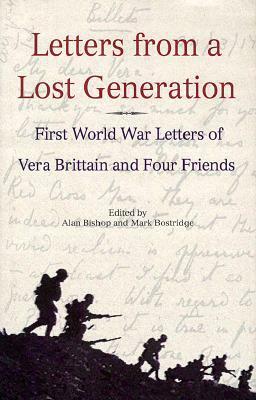 Letters from a Lost Generation is an important document on how the perception of the war changed. The four men signed up enthusiastically, spoke about honour and glory. Even war is glorified. The longer the war takes, the higher the losses, and the more futile it all seems, the more that perception changes. Reading about the work of a nurse was especially interesting and showed to some extent why it was possible for so many people in England to ignore the mutilations. By the time the wounded men arrived, they had already been patched up as good as possible. Another aspect that struck me is how humble the five friends were. None of them complained much or made a big fuss. Not about the cold, the mud, and the rain, nor about the battles and the fear of death. Not even when they are wounded. I still wonder how Vera Brittain managed to survive the death of the four people who were closest to her. After the war she met the writer Winifred Holtby who became her best friend and helped her to overcome her grief. Sadly Holtby too died an early death in 1935. Another great loss for Vera. I don’t think I’ve ever read a collection of letters this quickly and as soon as I finished the book I started Vera Brittain’s memoir Testament of Youth. I want to know more about her, about them. Letters from a Lost Generation is as important as it is beautiful and moving. It’s a document of deep and heartfelt friendship, a testimony of grief, loss and sorrow, and a valuable contribution to understand a generation and its motives. Letters from a Lost Generation was the last book in the Literature and War Readalong 2014. The next book is The Disappeared by Kim Echlin. Discussion starts on Tuesday 31 March, 2015. Further information on the Literature and War Readalong 2015, including the book blurbs can be found here. It’s hard to say anything about that post; all the emotion you felt seeps through your words. I remember being very moved when I read Lettres de poilus, so I can imagine that you were too. It’s one thing to read a sad story when it’s only characters living it. It’s totally different when you know the people you read about really existed. What a tragic life Vera had. PS: A question about war literature. Have you heard of Phil Klay? They really came alive. I even think I’ll visit that grave one day. It was heartbreaking. The fear, the hope . . . She’s such a strng woman. I have heard of Phil Klay and was tempted to include it in the readalong but I’m glad I didn’t. I’m reading Richard Flanagan’s novel at the moment and Testament of Youth. I think that’s it for me for a while. I am so glad you liked it. You deserved it after a mixed bag in this year’s readalong. The book certainly gives a clear impression of the effects of the war on upper class intellectuals. Thank you for hosting again. I read some books that I never would have considered reading and several of them were entertaining and educational. I like the idea that our friendship is such that I read books that I know I will not like and sometimes I am wrong. I’m glad you feel that way. I was wondering how you’d feel about this. We don’t read a lot about the fighting or the battles but that may be because they write so often and are not allowed to be too specific. Next year has at least one (out of four) you’ll probably like. I have Testament of Youth here. I’ve seen the series which was, I thought, very good. Testament of Youth contains much more than the war years and is very well written but, I’m afraid, it will be more graphic in parts. A very powerful and moving review, Caroline. I have to second Emma’s comment as I can sense the emotions and feeling of loss in your words. How difficult it must have been for Vera to cope with her grief and find a way through. I’d like to read these letters but it might be a question of finding the right time.. Thanks, Jacqui. It moved me a great deal. The sorrow is so intense. It’s all the more horrible as we start the book knowing the outcome. The last letters sound so ominous with hindsight. I’m sure you’d like it but you need to pick the right moment and have time. I second Emma’s comment. That was a powerful post about what seems like an moving book. Highlighting human connections that come to untimely ends can be so affecting. The fact that there is so little reference to the warfare itself could even humanize something like this even further. I’ve never read anything like this on WWI before. They manage to write about the sunsets at the front. I can’t remmeber any French or German accounts that still managed to look for beauty in those horrible circumstances. Especially Robert who wanted to be a writer, writes poetical letters. I remember that scene in the Barker book, too. I have not yet gotten to Roland’s death–now that the holidays are over and I have finished a couple of books that I wanted to get through last year, I will pick this one up again and read in earnest. It is both compelling as the letters are so beautifully written but also hard going as you know what is coming. This must have been unimaginable for her–I am so curious now about her and how she felt after all was said and done–I know she did marry, but her life must have been so utterly different than what she expected. 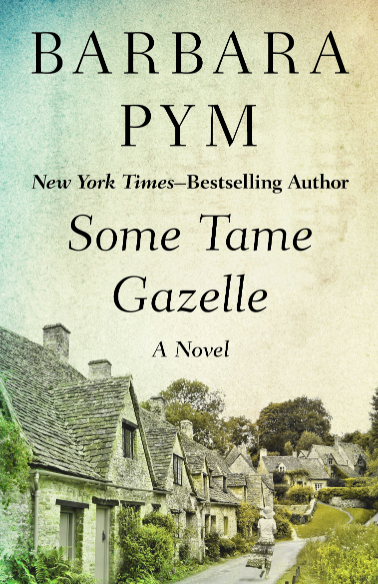 How are you getting on with Testament of Youth? I want to read more about her life, too. She wrote novels as well–such an interesting woman! She’s an amazingly interesting woman. Testament of Youth focusses a lot on feminism which is a topic in the letters but it’s only marginal. I’m stuck at the moment but I will keep on reading. It’s very different from the letters from a sytle perspective. You can sense she’s a writer. Beautiful review, Caroline! Am adding this to my ‘to be read’ list. Letters definitely take us into the hearts and the minds of the writers and it is heartbreaking when things happen as they did to the writers of the letters featured in this book. I think this must be a really unique document of the First World War. 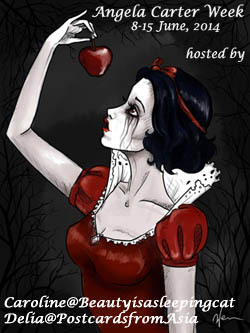 I wish I had been able to join the readalong – unfortunately, December was not a very good month for me. Hope you are enjoying ‘Testament of Youth’ and the Richard Flanagan novel. I will look forward to hearing your thoughts on them. Sorry to hear December wasn’t a good month. Richard Flanagan’s novel may be one of the hardest I’ve ever read. It’s really tough. I am planning for next year’s Literature and War readalong already, trying to get all the books 🙂 Sorry to know that Richard Flanagan’s novel is hard going. I remember Claire (from Word by Word) saying the same. Hope you are able to persevere through the end. I will look forward to hearing your thoughts on it. I’m almost finished. It’s brilliant but horrible at the same time. I have to look for her review. I’d be very glad if you can join. That whole Japanese POW thing is big in Australian culture. It still makes us very angry, the way our troops and nurses, and the civilian population, were deserted by the British and treated by the Japanese. It’s very understandable. I wasn’t aware of Australian troops being POWs of the Japanese as well. I knew of the British troops. And Americans. I’d be very interested to know what you think of Flanagan’s novel. I’m quite unsure about it. I don’t know that I’d be up for reading this book anytime soon, Caroline, but it’s nice to be reminded that books like this exist to counterbalance the pro-war enthusiasm that nations so often drum up whenever they want to rush their young off to battle on patriotic pretenses and such. Sounds like a powerful read and hence a good end to your readalong for the year. On a much lighter note, belated Happy 2015 to you! Thank you, Richard, I wish you a Happy 2015 as well. It’s a powerful book but what makes it even more powerful – and somehwta shicking- is that they are actually enthusiastic in the beginning. I feel so angry and sad about the futility of the ‘Great War’. All those brave and brilliant people who were killed. I think it hits home much harder when you read the actual words of people who were involved and died, or who lost dear ones. It’s interesting, too, because in a way the people who wrote the letters live on today, in your thoughts, in this post, in the thoughts of we who read what you wrote. ‘We will remember them’ is not just an empty phrase at the end of a memorial service. I seem to have two copies of Vera Brittain’s memoir lurking about somewhere, but I want to read the letters first. I didn’t have time to join in the readalong last year. I too, feel very angry and I agree with you, they do live on. These letters are particularly moving because these young men were so talented, especially Roland Leighton and it’s hard to think that all he would have achieved was never done. I think reading the Letters first is the “right” order because Vera’s view of the war changes and she’s not as anti-war in the beginning. Some of the letters she writes are almost a bit appalling and I admire her a great deal for not censoring them. It would have been easy to just pretend they were lost – as quite a lot were lost. I’ll have to wait a while to read the letters because the book is hard to come by at the moment. I guess that more people have bought it recently because of the centenary. I don’t think many people were anti-war in the beginning. I don’t think anyone anticipated how devastating the war would be. Australian volunteers thought it would be a bit of a lark and a chance to travel overseas and see the world. How wrong they were. I’ve seen that aspect depicted in many Australian war movies. Gallipoli for example. They sign up because they thought it would be a great way to see the world. More fun and sports than anything serious. An awful way to wake up. I suppose a lot of people want to read the letters right now. I’m so glad I read this post. I wasn’t familiar with this collection of letters. I think it would be a very informative read to use for background information on the novel I’m writing now, which takes place in France just after WWI. I see, you moved back in time. It’s an amazing collection but I’m not sure how helpful it would be for a novel set in France. Do please watch the movie Life and Nothing but. I couldn’t think of a better movie on FRance after WWI. There are excellent French books too. One novel – I haven’t read but I’ve watched the movie is The Officer’s Chamber. Thank you so much for these suggestions. I was going to look for this book at the library this weekend. Instead, I think I’ll start with these two movies. Life and Nothing But looks particularly useful for research purposes. Thank you! You’re welcome. I never saw a movie capture post- WWI France as well before. I hope it will be useful and that you’ll like it. Wonderful, heartbreaking review, Caroline. I too am amazed that they did not complain, as trench warfare sounded so horrible. It’s such a good thing that these brave lives were memorialized. Thanks Carole. I think you would like this as well. It’s never gruesome. The were so brave and never moaning. Amazing really. They could even still enjoy a sunset. I am currently immersing myself in the WW1 Literature for the centenary and have picked up this book by way of your recommendation and review. I have also become aware of the new film version of Vera Brittian`s ” Testament of Youth ” that looks quite wonderful. Hope to see it soon as well. Thank you for sharing your views on Vera Brittain`s work. Hi, Jody, it’s my pleasure. It’s such a wonderful, if heartbreaking book and The Testament is quite amazing too. I would also love to see the series. There’s a lot of great WWI literature availble. Old and new.